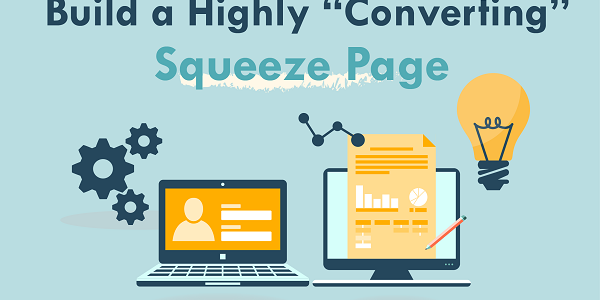 Now there’s like, a gazillion type of squeeze page styles out there, but I’m gonna show you how to create a simple squeeze page that not only takes minutes to do… But converts like crazy as well! The problem is, a lot of people think you need to make it look flashy with loads of wiz-bang graphics and stuff like that, but all people care about is… Can you help them? And if so, can you help them in the quickest and easiest way possible? 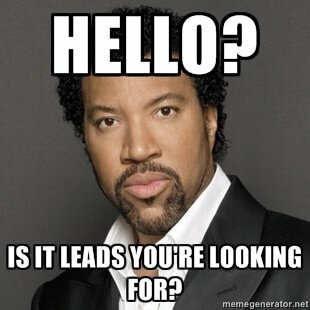 If you can convey that message in your squeeze page, and your entire marketing for that matter… Then you’ll have NO problems getting optins whatsoever. A proven Headline template you can use to spit out attention grabbing headlines in seconds that make people optin like crazy. …And this stuff is REALLY EASY to do, takes like, seconds to do in fact. Now if you enjoyed that, how would you like some more in-depth training but this time… You get walked through the entire process – from start to finish – on how to make a $1000+ a day online using easy-to-apply methods ANYONE can apply… In just 30 days from now? If so, then I would LOVE to show you how to do this and walk you through it – step by step – till you’re making a full time income from the comfort of your own home. And hey, not only has it worked for me, but for everyone else who I’ve shown it to as well. So if you would love to be shown how you can do this – and be taken by the hand on how to make a $1000+ a day of passive income in just 30 days from now… Then do yourself a massive favour and check this out! Thanks for these amazing video tutorials you keep sending us. Even though I’m a member of your Evergreen Wealth Formula and think it’s the best course I’ve ever bought. These additional videos always teach me some additional tricks I never knew of. Love your training – keep them coming! This is great James… Thank you. I’m also a member of your Evergreen wealth system and I must a agree it’s the best training I’ve ever laid eyes on. I’m actually making a living just by follow and doing what you teach in your course and your free training… Which is better than most of the paid courses out there!! Got to get back to work anyway, thank James. I’ll be sending more soon so keep your eyes peeled for ’em. I’ll be posting more vids soon, Emma so watch out for ’em. nice work again james like the video good one.looking forward to the next one.elaine. I’ve got more coming and I cannot wait to share ’em with you. Thank you for your video tutorial James, I always learn new things when watching them. Glad you’re enjoying and learning new things in my videos. This is sooo kool man! I love this tutorial! Always learning sometime new from you! Keep up the good work! I will be giving this software a try! Thanks! Helpful video,can you make a video on how to upload the squeeze page to a hosting account? Regarding your request… I could but to be honest, you’d be better of to just go to Youtube and do a search for a video tutorial on there. Hope this helps anyway and thanks for stopping by and watching the vid… Really appreciate it Tony. hello.. James.. please let me try.. but before i try i have to say thanks for many times.. this page is very useful.